This is old version Clean Master 5.13.4 apk for Android, you can install it if you want to downgrade or install old app. It is top Tools apps from Cheetah Mobile. It is important to give enough space for taking photos and videos. You will also have some additional space for adding more apps for your internal storage. This is an app which is very functional for all android users. In some case, the smartphones are also often overheating and hanging. You will be away from this problem if you are using clean master continuously. It will keep the phone is always stable. The temperature, speed and the available free space will always be managed properly. It also has the presence of lite widget in the main screen. The presence of the widget can give you a very quick cleaning in a touch. It also has some features such as app lock and battery saver that all are useful. 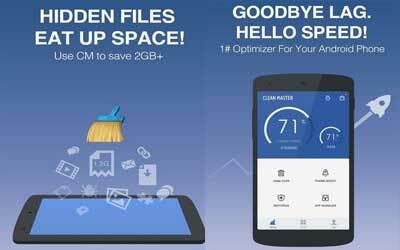 Once you are using Clean Master for android, you will be able to make your phone feels like new. Brand new Notification Cleaner is now available – smartly detect and remove unwanted notifications!